JOIN celebrities such as Roma Downey, Chuck Norris and the Benham brothers, along with many other Hollywood faces! Hundreds of government leaders, over 75 faith-based organizations, and thousands of churches and citizens who have committed to sweep the nation with an AFFIRMATION OF OUR TRUST IN GOD! COUNTDOWN to the 60th Anniversary BLITZ! 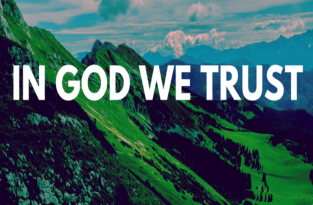 On July 30th, 1956, “In God We Trust” was established by President Eisenhower and the U.S. Congress as the official motto of the US. Join Americans across the nation who are affirming their trust in God- and the freedom to proclaim it! Show Your Trust during the 60th Anniversary BLITZ! Over 1.4 million “In God We Trust” window clings are already on display across America! With your help, we can sweep the country with an affirmation of our national motto and the deep conviction that it represents. 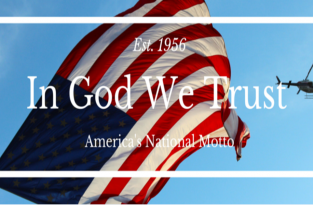 Let’s celebrate the 60th anniversary of our national motto, ‘In God We Trust’ by putting it up! Please like and share for others to join this grassroots effort!